Conservative Leader Andrew Scheer is criticizing Prime Minister Justin Trudeau for praising Gov. Gen. Julie Payette in the wake of Payette's suggestion that "divine intervention" did not play a role in the creation of life on Earth. 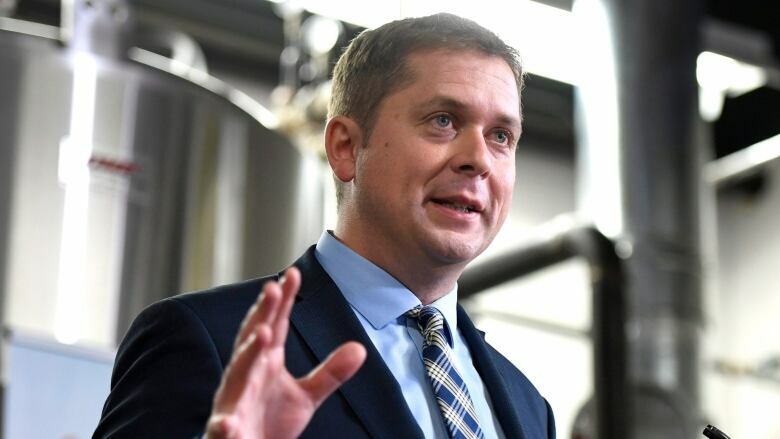 "It is extremely disappointing that the prime minister will not support Indigenous peoples, Muslims, Jews, Sikhs, Christians and other faith groups who believe there is truth in their religion," Scheer said in a statement posted to Facebook. "Respect for diversity includes respect for the diversity of religious beliefs, and Justin Trudeau has offended millions of Canadians with his comments‎." Speaking at a science conference in Ottawa on Wednesday, Payette stressed the need for greater public awareness of scientific knowledge and noted, with some incredulity, that certain unscientific beliefs persist, including astrology and skepticism about climate change. She also made a reference to religious belief. "We are still debating and still questioning whether life was a divine intervention or whether it was coming out of a natural process let alone, oh my goodness, a random process," Payette said. Asked about the Governor General's statements on Thursday, Trudeau offered a general statement of support. Urback: In what universe is it OK to deride people's beliefs? "We are a government grounded in science. Canadians are people who understand the value of science and knowledge as a foundation for the future of our country," he said. "And I am extraordinarily proud of the strength and the story of our Governor General, Julie Payette, who has never hidden away her passion for science and her deep faith that knowledge, research and the truth is a foundation for any free, stable, successful society. And I applaud the firmness with which she stands in support of science and the truth." Scheer did not directly criticize Payette. Asked whether Scheer would like the Governor General to apologize, a spokesman deferred to Scheer's statement about the prime minister.